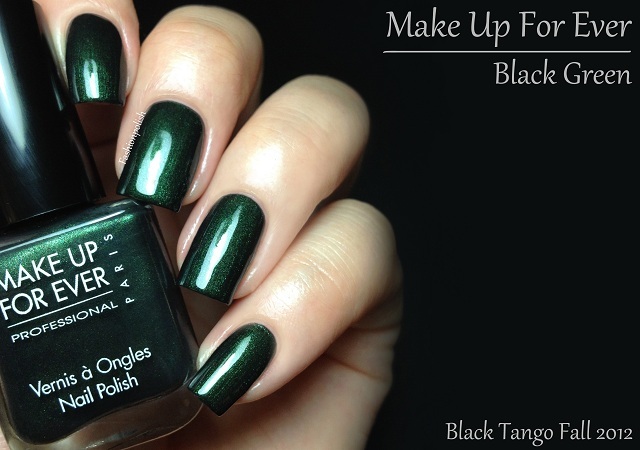 Fashion Polish: Make Up For Ever Fall 2012 Black Tango Collection! Make Up For Ever Fall 2012 Black Tango Collection! 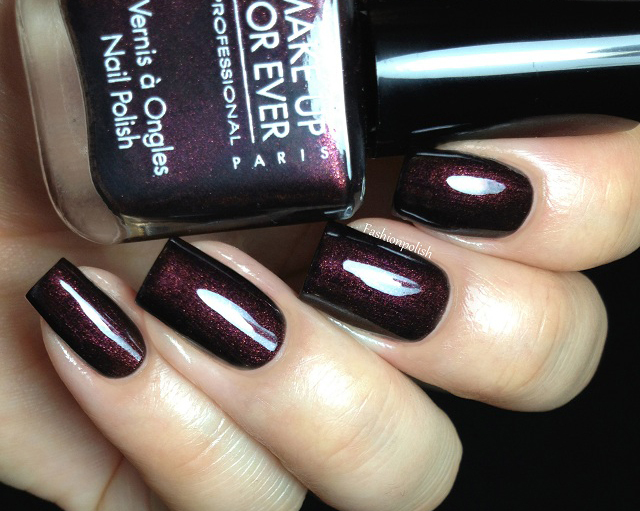 This Fall, Make Up For Ever is coming up with the darkest, most sensual and seductive, latin dance inspired collection and for the very first time extends its line to nail polish! The Black Tango collection consists of a new aqua cream palette, new aqua rouge shades along with 3 exclusive shimmer nail polishes : Black with Blue Highlights, Black with Green Highlights and Black with Red Highlights. Both formula and overall look were pretty much the same in all 3 polishes so I'll just talk about them here. They are all black based fine shimmers, with a "darker in the edges" effect but not so dark that they look completely black under low lighting : vampy with a muted look. Consistency was very good and coverage easy in two coats but they were also quite fast drying, actually so much so that I had to work fast or they would turn a bit goopy. 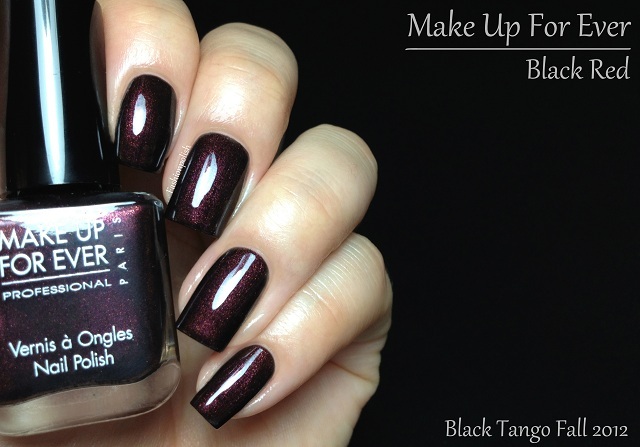 I'm in love with this collection but I think I was already sold on the words "Black Tango". 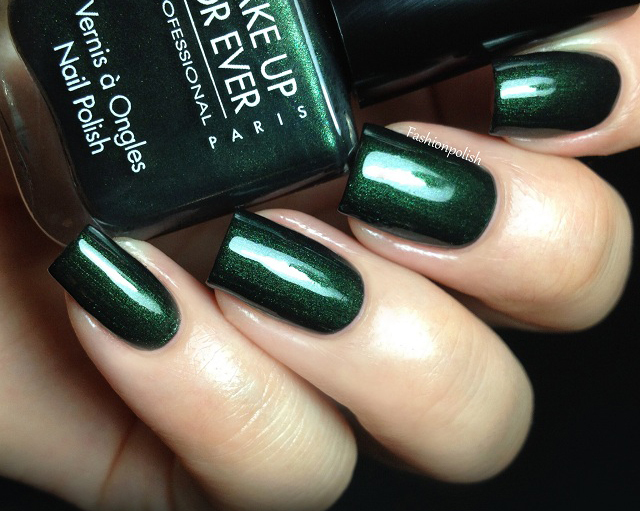 I've always loved dark nail polish and these are no exception! The nail polishes retail for $12 / £10 / 12€ (0.25fl.oz / 7.5ml). What do you think? Will you be getting them or is it too soon for vampy shimmers yet? omg!!! love love need all of them! And I thought blacks are boring... Nothing of that sort! Great blacks! Wow. Wow wow wow these are so PRETTY!!! The Black Red polish looks gorgeous. Love the colors! I want them all but the Black Red just might be my favorite. BTW your nails always look amazing! 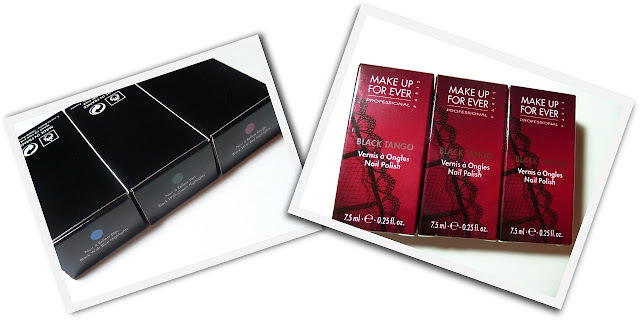 Oh no... MUFE makes nail polish?! Ahhh! 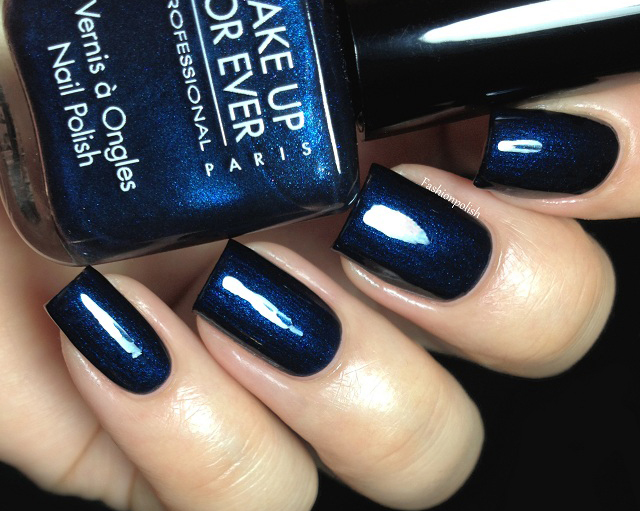 I'm so getting that blue! I'll be all over these when they come out! Ah! The green one! So pretty! well, they all are, but the green one especially! 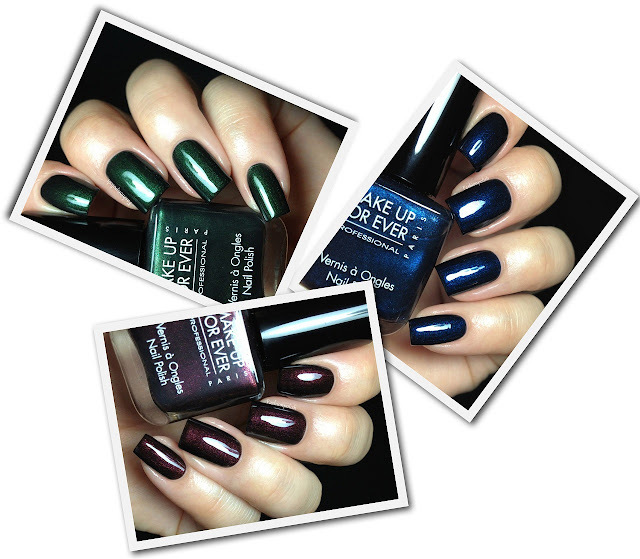 Great swatches and thanks for sharing! These are pretty but for the first NP collection from MUFE I'm a little underwhelmed. Their makeup is so pigmented and rich somehow I expected something I don't know more...eh maybe I'm just not in fall mode yet. I will admit the blackend red is lovely! Wow. all of these are so beautiful!